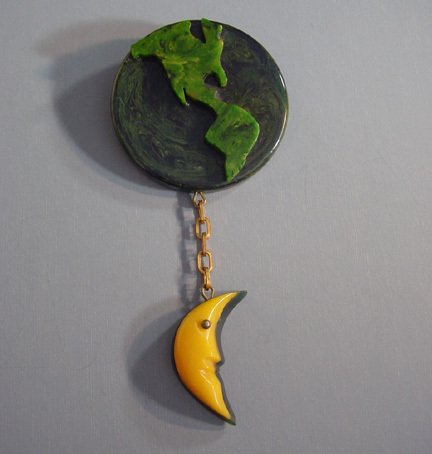 ADRIAN bakelite earth and crescent moon dangle brooch in dark green and butterscotch, round disk 2" and moon 1-1/3". 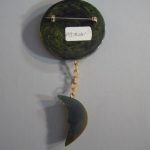 Adrian made very few peices, I am told less than 20, and what he did make shows amazing craftsmanship. 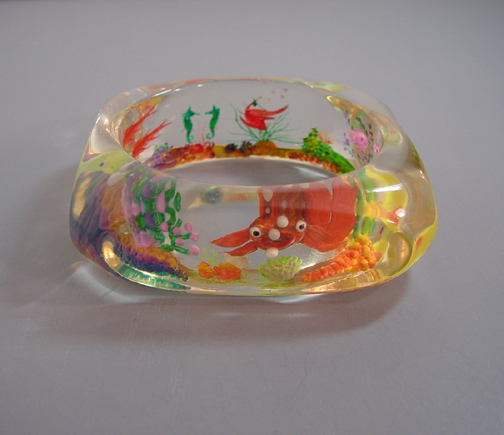 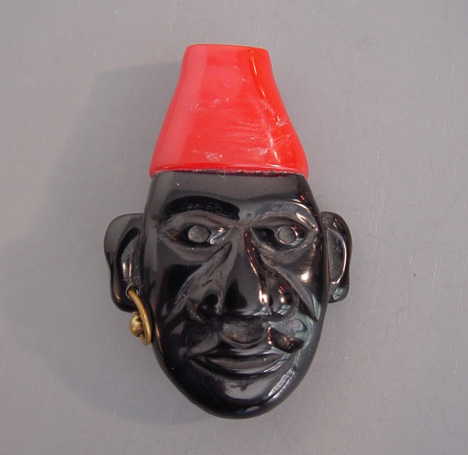 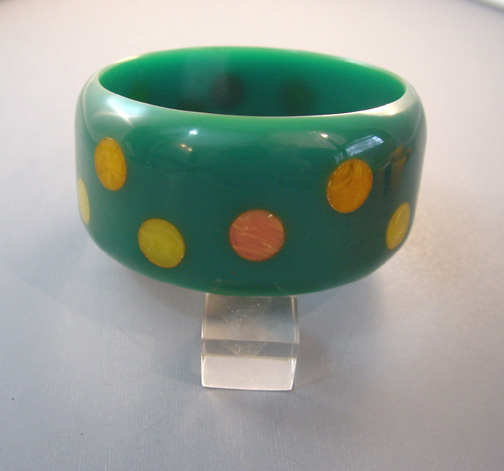 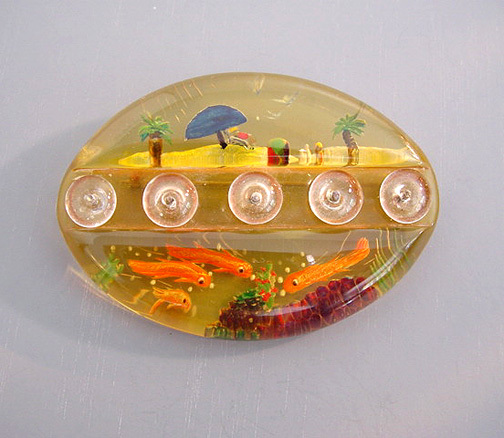 This piece is shown in the "Bakelite Pins" book by Karima Parry on page 185. 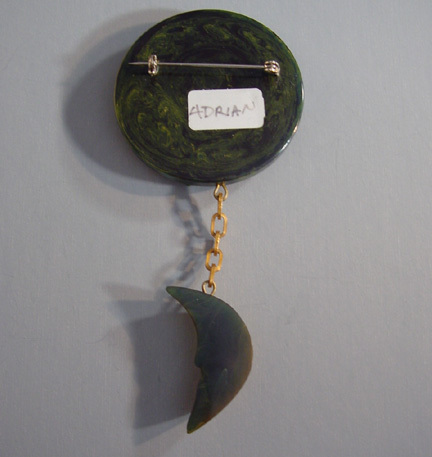 There is a sticky tag on the back with the name "Adrian".